By the time everything is laid out in pages and ready for proofreading, we’re only looking for things that are absolutely mistakes. It’s too late to be improving the wording, etc. We’re only looking for errors in spelling, punctuation, layout, etc. Jumps – check all the “continued on…” and “continued from…” jumps to be sure they name the right pages, and to be sure the word or phrase they use is consistent. Also check that all the jumps in Last Month and in This Month point to the right pages. Emphasis – We never use all capital letters for emphasis. In very rare circumstances, italicizing for emphasis is allowed, but only very rarely. Exclamation points should also be used extremely rarely. Bottom line: If something needs emphasis, the writing should provide the emphasis, not the typography. Capitalizing “Town,” “Board,” etc. – When “town” is used as shorthand for “the government of the Town of Andover,” then it should be capitalized, i.e. “…the Town grader…” When it refers to geography or to the townspeople as a whole, i.e. “…our beautiful town…” or “…the town will support recycling…” it should be lowercase. Town Meeting is always capitalized. It is both an event (“…Town Meeting started at 7 PM…”) and a body of Town government (“…Town Meeting voted to make ice cream mandatory…”). 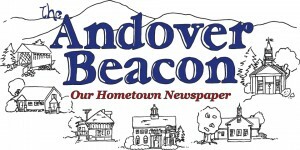 Andover Places – The Town Office is where the Town Administrator, the Town Clerk, and the Town Tax Collector and their staff sit. The Town Hall is the whole building, including the meeting room downstairs, the Library, the Cable TV station, and the Beacon’s office. The open space in the center of Andover is always referred to as the Village Green (with initial capitals). The field behind AE/MS is Corson Field. The field off Lawrence Street is Howard George field, which is located in Blackwater Park. Names of books, plays, poems, TV shows, movies, etc. are always in italics, never in quotes. Acronyms and Abbreviations – USA, US, MVHS, IBM, ZBA, AM, PM, LLC, etc. don’t have periods between the letters. AE/MS always has the slash in it. “Inc.” or “Corp.” are always followed by a period. AE/MS should always have the slash in it – never AEMS. The lumber company was called RP Johnson and Son. (No periods, and Son, not Sons.) After the first reference, it’s OK to say RP Johnson (but never “RP Johnsons”). Another company is ProClaim – note the capital C and the lack of a space. Don’t abbreviate state names unless it’s in a postal address, in which case use the standard two-character postal abbreviation (all caps). In an article, never abbreviate Street, Road, Place, Mountain, etc., even in postal addresses. Don’t follow a town name with New Hampshire if it’s a nearby town or a well-known town. Always spell out World War II (never WWII). Never abbreviate the name of the month. Don’t use the current year in dates unless it might be confusing if you leave it out. Day of week (i.e. Tuesday, August 22) is handy for our readers when it’s a date in the future, because it helps them quickly think about whether they’re free. But it’s not very useful for dates in the past, unless the story hinges on the day of the week (i.e. a series of events leading up to a crime or something). So in general, include day of week for dates in the future and not for dates in the past. AM and PM are always all-caps, with no periods. There’s always a single space before AM or PM. Drop the minutes for on-the-hour times, i.e. 7 PM, not 7:00 PM. When referring to the events of September 11, 2001 (or any anniversary thereof), use “September 11” rather than “9/11” (and never “911” of course!). In general, there is a comma before the form of organization in a company name, i.e. RP Johnson and Son, Inc. or Andover Thompson, LLC. But also in general, omit the legal organization designation like Inc. or LLC unless it seems important. In general, use semicolons to separate items in a list anytime you feel that commas aren’t “strong” enough to avoid any possibility of confusion. Numbers – In stories, a number less than 10 should be written as a word, and a number 10 or greater should be written as numerals (unless it appears as the first word in a sentence). In ads or in charts and tables, anything goes! Prices and other dollar amounts should be written as numerals with a dollar sign preceding, i.e. “$7,” not “seven dollars.” Leave off the cents if it’s just zeroes. Avoid Roman numerals if possible. If they’re in the title of a play or something, we can’t change it. But using them for something like road class designations (i.e. Class VI roads) or warrant article numbers is just silly, and we should change those to Arabic numerals (i.e. Class 6). Another good exception would be World War I and World War II. In an article, don’t use a hyphen instead of the word “to” (as in “1 to 2 PM”). Phone Numbers – Never include the 603 area code, unless leaving it out would be confusing. For numbers with area codes, never include the 1 that you have to dial before the area code. Web Addresses – URLs always appear without the http://, and without the www (if leaving out the www still takes you to the correct page, which is true for most URLs, but not for all URLs). URLs always appear in a distinct, compact sans serif type face to make them easy to read and to help even a long URL fit on a single line. Format – One (and only one) paragraph break (“hard return”) at the end of every paragraph. No breaks at the end of every line — just let the paragraph “wrap” naturally. Each paragraph should be no longer than two or three sentences. In general, people write paragraphs that are waaaaaaay too long! Basically, every time you detect the slightest change in the train-of-thought, start a new paragraph. And that should happen every two or three sentences. Miscellaneous Things – The official name of the holiday, according to the enabling Federal legislation, is Veterans Day. This is the attributive form (as opposed to the possessive form) and is a great choice when it’s not about ownership as much as it is about description (i.e. Girls Softball). The little kids play T-ball (note the capital and the hyphen). And they probably wear t-shirts (note the lowercase) while they play T-ball. It’s always “Be sure…” and never “Make sure…”.